In Costa Rica, wine at restaurants can be very expensive, and to make it affordable, mostly lowquality wines or consummation per glass are offered to the guests. Christian Vijselaar, owner of Hotel Villas Río Mar, in Dominical, and a wine lover himself, changed the policy for guests at the international restaurant “El Rancho”. Now you can bring your own wine to the El Rancho Restaurant, and without paying corkage fee. A great selection of international dishes and local specialties are on the menu. So, along with a remarkable meal, you relish your most favorite beverage. The menu also includes tasty appetizers and special dishes for kids and vegetarians. El Rancho Restaurant at Hotel Villas Río Mar is open to the public 365 days a year, from 7 am to 9:30 pm, serving breakfast, lunch, and dinner. The hotel, which is embedded in ample tropical gardens with beautiful exotic plants, flowers, and birds, is a place par excellence to host your birthday, anniversary, graduation, dinner events, or wedding reception. From the hotel, which is at the border of one of Costa Rica´s most stunning rivers, Barú River, a pleasant 10-minute walk through the small and lively town of Dominical takes you to the beach. The hotel also provides a fully equipped conference room and is the perfect location in the South Pacific for your business meetings. So, rejoice you have found the right place! 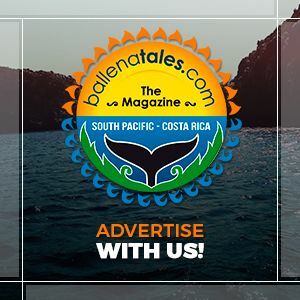 Posted in Activities, Dominical, Dominical Restaurants, Tourism & Entertainment, Uvita and tagged affordable price, Costa Ballena Lovers, Costa Rica, enjoy, enjoy-costaballena, puravida, restaurant, travel, wine, Wine lovers rejoice! Your favorite wine at Hotel Villas Río Mar. As lovers of good coffee they saw the need for a cozy place in the area and when the fortunate opportunity of buying and renovating the Sibu coffee shop arose, they made their dream come true. Now in the heart of Uvita, Sibu & Kifli Pan Artesanal offers their specialties-organic coffees, teas and more.